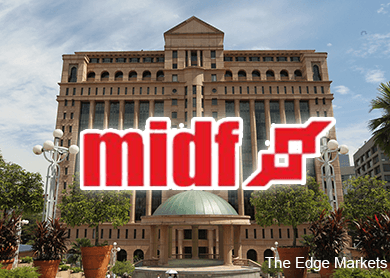 KUALA LUMPUR (July 2): MIDF Research has maintained its short-term 2015 year-end FBM KLCI target of 1,900 points udner review for possible adjustment. In a strategy report today, the research house said the market was still absorbing the impact of liquidity and political issues. “We reckon the prevailing negative pressure on the short-term direction of local equity market would be neutralized only pursuant to (i) the subsidence of foreign liquidity outflows, and (ii) non-disruptive outcome of the investigation on 1MDB. “On this score, the pace of market absorption or normalization with regard to the outstanding issues would have a great bearing on the timing of subsequent cyclical upturn hence the attainment of our year-end FBM KLCI target,” it said. MIDF Research head of equity Syed Muhammed Kifni said the upgrade in sovereign credit outlook is seen as a vote of confidence in the country’s fiscal management and may reflect the rating agency’s relative sanguinity with regard to Malaysia’s macro outlook. Having said the above, in the interim, the equity market is expect”ed to remain cautious due to the hitherto persistent region-wide foreign equity funds outflows believed to be in anticipation of the upcoming hike in US interest rates,” he said.